This is one of our most recent installs done in Surprise Arizona. 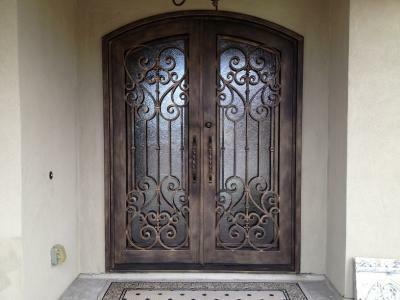 Signature Iron Doors is proficient at remodeling entry doors like this one. All our iron is hand forged and each client is given individual assistance in the design process to accent their home perfectly. Call us and come by our showroom in Phoenix Arizona to discuss with a sales representative your options for an iron entry door remodel.